CBS News reports New York City health officials are expected to decide today whether to enact Mayor Michael Bloomberg's proposal to place a 16-ounce cap on sugary drinks sold throughout the city's restaurants and other eateries. 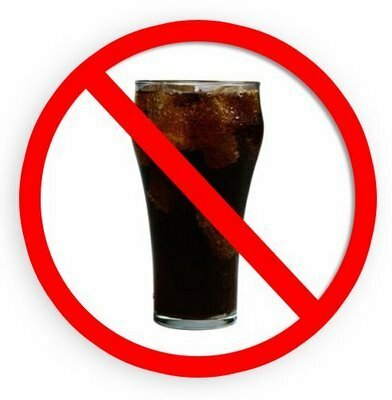 If approved, New York City residents and tourists will no longer be able to purchase fountain or bottled sugary drinks at restaurants, fast food chains, delis, movie theaters, sports venues and street carts. That would eliminate popular 20-ounce bottles or 32-ounce fountain options from such establishments that fall under Board of Health's jurisdiction. People would still be able to purchase two-liters and other large-sized drinks at grocery and convenience stores which are exempt from the ban. Those who buy drinks at locations where the ban is in place also have the option to purchase additional 16-ounce beverages. 's soda ban proposal was submitted to the NYC Board of Health on Tuesday, June 12, 2012. According to the New York City Department of Health and Mental Hygiene, 34 percent of adult New Yorkers are overweight and 22 percent are obese.Also, one in five New York City kindergarten students are obese. The soda ban proposal has been met with criticism by companies and advocates from the beverage industry, and the general public who feel this plan is an attack on their personal freedoms. Weight Watchers, Jenny Craig and other diet companies voiced their approval for New York City's proposed soda ban during a press conference featuring Mayor Michael Bloomberg and a Weight Watchers' official on Tuesday, September 4, 2012. If the vote is approved, the soda ban would take effect as early as March 2013. Sources: cbsnews.com, "NYC Board of Health to vote today on Mayor Bloomberg's big soda ban" by Ryan Jaslow Infogram from everydayhealth.com, "The Soda Ban Debate: What Does It Mean for Your Health?"